An advanced system of orthopedic bodywork, the Hendrickson method uses a dynamic combination of techniques including massage, mobilization and neuromuscular re-education, integrated with Eastern energy practices. This method provides particular benefits for low back pain, whiplash and rotator cuff injuries. Insight is practiced on a mat on the floor; please wear clothing that will allow movement and stretching. Diagnostic bodywork is perfect for individuals who want to determine the root cause of their chronic or reoccurring musculoskeletal symptoms. Liz is a graduate of UCSF’s prestigious Physical Therapy program, and is a licensed physical therapist with extensive experience. She is expert in massage modalities, stretching and joint mobilization techniques, and bodily detective work. TMJ Dysfunction Massage is a clinically-focused treatment for people who suffer from head, ear, and jaw pain and/or popping and grinding. Muscles that affect the temporomandibular joint (TMJ) are manipulated and massaged from inside the mouth during the 30-minute session. The 60 and 90-minute sessions allows time for additional work on postural muscles that contribute to the function of the jaw. These may include muscles in the face, neck, shoulders, and/or upper back. Clients who have experienced a TMJ treatment often report a greater feeling of spaciousness inside the jaw, as well as less tension and grinding, as well as and increased range of motion and jaw function. Te Yi medicinal Qi Gong is a healing modality that focuses on using focused intent and subtle hands on techniques to restore the body back to a balanced, healthy state. 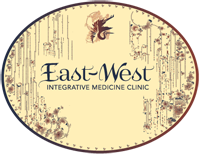 It is a system that was developed in China utilizing the most potent esoteric practices from three different Qigong systems, and it is excellent for those people who are too fearful, sensitive or weak for needles and are seeking a healing form that is non-invasive. However, this treatment is often used in combination with acupuncture. It is an excellent choice for children and elderly or chronically ill patients that have not responded to conventional treatments. Combine the therapeutic benefits of acupuncture with the soothing, restorative touch of Tibetan Kunye Massage. This service includes a full-length acupuncture treatment, followed by a focused session of Tibetan Kunye Massage with hot stones, heated oil compress or cupping.